The Republican-controlled Senate has passed a resolution that would end US involvement in the Saudi-led coalition’s brutal war in Yemen, countering President Donald Trump’s support for the controversial conflict. 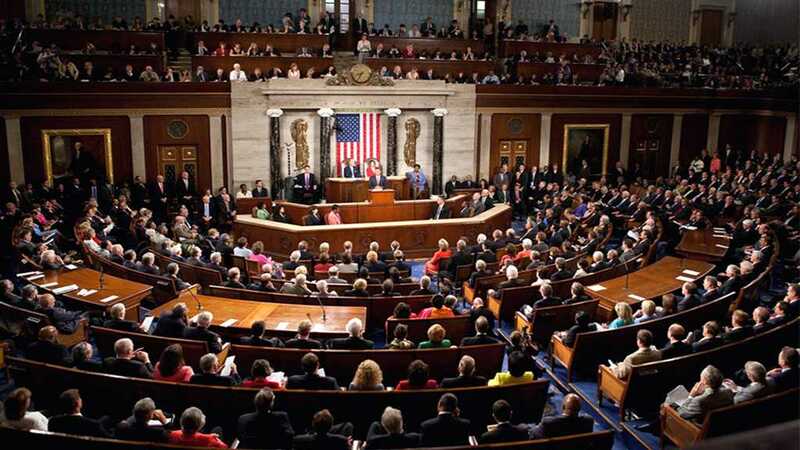 The Yemen War Powers resolution, which passed 54-46, blocks US forces from any involvement in the increasingly unpopular war without further authorization from Congress. Its backers have argued that US involvement in the conflict violates the constitutional requirement that Congress alone can authorize participation in war. An earlier version of the resolution passed the Democrat-controlled House of Representatives but was rejected by the Senate; the resolution must now pass the House again before it is sent to the White House, where Trump has promised to veto it. A small group of Republicans were willing to cross party lines to rebuke Trump over his support for a conflict the United Nations has declared a humanitarian disaster, which has killed tens of thousands of civilians and left half the population of Yemen on the brink of starvation. US forces previously provided targeting support for coalition airstrikes and even mid-air refueling for coalition planes, until that practice was reportedly discontinued late last year. The Yemen War Powers resolution also serves as a vehicle to pressure Trump to condemn the Saudi government over the murder of journalist Jamal Khashoggi, which US intelligence agencies have pinned on Saudi Prince Mohammed bin Salman. Meanwhile, revelations that interests connected with the Trump administration were in negotiations to sell the Saudis nuclear technology have shed new light on the president’s cozy relationship with the embattled kingdom. Coalition forces led by Saudi Arabia and the United Arab Emirates have relentlessly bombed Yemen since 2015. Half of Yemen’s population relies on food aid to survive, placing them in immediate danger of starving to death after coalition forces blockaded the port city of al-Hudaydah last year.